First, philosophers of language inquire into the nature of meaning, and seek to explain what it means to "mean" something. Topics in that vein include the nature of synonymy, the origins of meaning itself, and how any meaning can ever really be known. Another project under this heading of special interest to analytic philosophers of language is the investigation into the manner in which sentences are composed into a meaningful whole out of the meaning of its parts. Second, they would like to understand what speakers and listeners do with language in communication, and how it is used socially. Specific interests may include the topics of language learning, language creation, and speech acts. Third, they would like to know how language relates to the minds of both the speaker and the interpreter. Of specific interest is the grounds for successful translation of words into other words. Finally, they investigate how language and meaning relate to truth and the world. Philosophers tend to be less concerned with which sentences are actually true, and more with what kinds of meanings can be true or false. A truth-oriented philosopher of language might wonder whether or not a meaningless sentence can be true or false; whether or not sentences can express propositions about things that don't exist; and whether or not it is a sentence that is true or false, rather than the way sentences are used. Linguistic speculation in India is attested since the Vedic period (roughly 1000 B.C.E.) with the deification of vāk "speech." In the West, inquiry into language stretches back to the 5th century B.C.E. with Socrates and Plato, Aristotle, and the Stoics. Both in India and in Greece, linguistic speculation predates the emergence of grammatical traditions of systematic description of language, which emerge from ca. the 7th century B.C.E. in India (Yaska), and from the ca. 3rd century B.C.E. in Greece (Rhyanus). In the dialogue Cratylus, Plato considered the question whether the names of things were determined by convention or by nature. He criticized conventionalism because it leads to the bizarre consequence that anything can be conventionally denominated by any name. Hence it cannot account for the correct or incorrect application of a name. He claimed that there was a natural correctness to names. To do this, he pointed out that compound words and phrases have a range of correctness. He also argued that primitive names (or morphemes) had a natural correctness, because each phoneme represented basic ideas or sentiments. For example, the letter and sound of "l" for Plato represented the idea of softness. However, by the end of the Cratylus, he had admitted that some social conventions were also involved, and that there were faults in the idea that phonemes had individual meanings. Aristotle concerned himself with the issues of logic, categories, and meaning creation. He separated all things into categories of species and genus. He thought that the meaning of a predicate was established through an abstraction of the similarities between various individual things. Linguistic philosophy proper has its origins in early medieval Indian philosophy (roughly 5th to 10th centuries) with the debate between "materialist" Mimamsa school led by Kumārila Bhaṭṭa and Prabhākara who tended towards conventionalism, claiming a separation of linguistic performance and meaning, and the holistic (sphoṭa) "grammarian" school led by Bhartṛhari and Maṇḍana Miśra who held that phonetic utterance and meaning form an indivisible whole ultimately identical with Brahman (śabda-tattva-brahman), culminating in Vācaspati Miśra and the later Navya-Nyāya school. Medieval philosophers were greatly interested in the subtleties of language and its usage. For many scholastics, this interest was provoked by the necessity of translating Greek texts into Latin. There were several noteworthy philosophers of language in the medieval period. According to Peter King, although it has been disputed, Peter Abelard anticipated the modern ideas of sense and reference. Also, William of Occam's Summa Logicae brought forward one of the first serious proposals for codifying a mental language. The scholastics of the high medieval period, such as Occam and John Duns Scotus, considered logic to be a scientia sermocinalis (science of language). The result of their studies was the elaboration of linguistic-philosophical notions whose complexity and subtlety has only recently come to be appreciated. Many of the most interesting problems of modern philosophy of language were anticipated by medieval thinkers. The phenomena of vagueness and ambiguity were analyzed intensely, and this led to an increasing interest in problems related to the use of syncategorematic words such as "and," "or," "not," "if," and "every." The study of categorematic words (or terms) and their properties was also developed greatly. One of the major developments of the scholastics in this area was the doctrine of the suppositio. The suppositio of a term is the interpretation that is given of it in a specific context. It can be proper or improper (as when it is used in metaphor, metonyms and other figures of speech). A proper suppositio, in turn, can be either formal or material, accordingly as it refers to its normal non-linguistic referent (as in "Charles is a man") or to itself as a linguistic entity (as in "'Charles' has five letters"). Such a classification scheme is the precursor of modern distinctions between use and mention, and between language and metalanguage. Linguistis of the Renaissance and Baroque periods such as Johannes Goropius Becanus, Athanasius Kircher or John Wilkins were infatuated with the idea of a philosophical language reversing the confusion of tongues, influenced by the gradual discovery of Chinese characters and Egyptian hieroglyphs (Hieroglyphica). European scholarship began to absorb the Indian linguistic tradition only from the mid-eighteenth century, pioneered by Jean François Pons and Henry Thomas Colebrooke (the editio princeps of Varadar_ja dating to 1849), and language began to play a central role in Western philosophy in the late nineteenth century, especially in the English speaking world and parts of Europe. A foundational work is Ferdinand de Saussure's Cours de linguistique générale published posthumously in 1916. The philosophy of language then became so pervasive that for a time, in analytic philosophy circles, philosophy as a whole was understood to be a matter of philosophy of language. In the twentieth century, "language" became an even more central theme within the most diverse traditions of philosophy. The phrase "the linguistic turn," used as the title of a book on philosophy of language edited by Richard Rorty and first published in 1967, has been used to describe the noteworthy emphasis that modern-day philosophers put upon language. It has long been known that there are different parts of speech. One part of the common sentence is the lexical word, which is composed of nouns, verbs, and adjectives. A major question in the field - perhaps the single most important question for formalist and structuralist thinkers - is, "how does the meaning of a sentence emerge out of its parts?" Many aspects of the problem of the composition of sentences are addressed in the field of linguistics of syntax. Philosophical semantics tends to focus on the principle of compositionality in order to explain the relationship between meaningful parts and whole sentences. The principle of compositionality asserts that a sentence can be understood on the basis of the meaning of the parts of the sentence (i.e., words, morphemes) along with an understanding of its structure (i.e., syntax, logic). It is possible to use the concept of functions to describe more than just how lexical meanings work: they can also be used to describe the meaning of a sentence. Take, for a moment, the sentence "The horse is red." We may consider "the horse" to be the product of a propositional function. A propositional function is an operation of language that takes an entity (in this case, the horse) as an input and outputs a semantic fact (i.e., the proposition that is represented by "The horse is red"). In other words, a propositional function is like an algorithm. The meaning of "red" in this case is whatever takes the entity, "the horse," and turns it into the statement, "The horse is red". Linguists have developed at least two general methods of understanding the relationship between the parts of a linguistic string and how it is put together: syntactic and semantic trees. Syntactic trees draw upon the words of a sentence with the grammar of the sentence in mind. Semantic trees, on the other hand, focus upon the role of the meaning of the words and how those meanings combine in order to provide insight onto the genesis of semantic facts. The answer to the question, "What is the meaning of meaning?," is not immediately obvious. One section of philosophy of language tries to answer this very question. Geoffrey Leech posited that there are two essentially different types of linguistic meaning: conceptual and associative. For Leech, the conceptual meanings of an expression have to do with the definitions of words themselves, and the features of those definitions. This kind of meaning is treated by using a technique called the semantic feature analysis. The conceptual meaning of an expression inevitably involves both definition (also called "connotation" and "intension" in the literature) and extension (also called "denotation"). The associative meaning of an expression has to do with individual mental understandings of the speaker. They, in turn, can be broken up into six sub-types: connotative, collocative, social, affective, reflected and thematic. Generally speaking, there have been at least six different kinds of attempts at explaining what a linguistic "meaning" is. Each has been associated with its own body of literature. Idea theories of meaning, most commonly associated with the British empiricist tradition of Locke, Berkeley and Hume, claim that meanings are purely mental contents provoked by signs. Although this view of meaning has been beset by a number of problems from the beginning (see the main article for details), interest in it has been renewed by some contemporary theorists under the guise of semantic internalism. Truth-conditional theories hold meaning to be the conditions under which an expression may be true or false. This tradition goes back at least to Frege and is associated with a rich body of modern work, spearheaded by philosophers like Alfred Tarski and Donald Davidson. Use theorist perspectives understand meaning to involve or be related to speech acts and particular utterances, not the expressions themselves. The later Wittgenstein helped inaugurate the idea of meaning as use. It is also associated with P.F. Strawson, Robert Brandom, and others. Verificationist theories of meaning are generally associated with the early twentieth century movement of logical positivism. The traditional formulatiúon of such a theory is that the meaning of a sentence is its method of verification or falsification. In this form, the thesis was abandoned after the acceptance by most philosophers of the Duhem-Quine thesis of confirmation holism after the publication of Quine's Two Dogmas of Empiricism. However, Michael Dummett has advocated a modified form of verificationism since the 1970s. In this version, the comprehension (and hence meaning) of a sentence consists in the hearer's ability to recognize the demonstration (mathematical, empirical or other) of the truth of the sentence. A pragmatist theory of meaning is any theory in which the meaning (or understanding) of a sentence is determined by the consequences of its application. Dummett attributes such a theory of meaning to C.S. Peirce and other early twentieth-century American pragmatists. Gottlob Frege, a logician, made several influential contributions to philosopy of language. Investigations into how language interacts with the world are called "theories of reference." 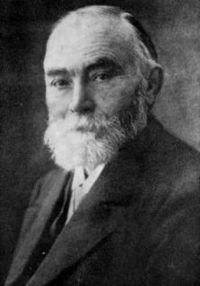 Gottlob Frege was an advocate of a mediated reference theory. Frege divided the semantic content of every expression, including sentences, into two components: Sinn (usually translated as "sense") and Bedeutung (translated as "meaning," "denotation," "nominatum," and "reference," among others). The sense of a sentence is the thought that it expresses. Such a thought is abstract, universal and objective. The sense of any sub-sentential expression consists in its contribution to the thought that its embedding sentence expresses. 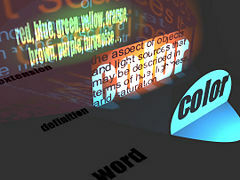 Senses determine reference and are also the modes of presentation of the objects that expressions refer to. Referents are the objects in the world that words pick out. Hence, the referents of "the evening star" and "the morning star" are the same, the planet Venus. But they are two different modes of presenting the same object and hence they have two different senses. The senses of sentences are thoughts, while their referents are truth-values (the True or the False). The referents of sentences embedded in propositional attitude ascriptions and other opaque contexts are their usual senses. John Stuart Mill proposed a different analysis of the relationship between meaning and reference. For him, although there are two components to consider for most terms of a language (connotation and denotation), proper names, such as "Bill Clinton," "Bismark," or "John Hodgman" have only a denotation. Hence, Mill's view is similar to what is now called a direct reference theory. Bertrand Russell, in his later writings and for reasons related to his acquaintance theory in epistemology, held that the only directly referential expressions are, what he called, "logically proper names." Logically proper names are such terms as "I," "now," "here," and other indexicals. He viewed proper names of the sort described above as "abbreviated definite descriptions." Hence "George W. Bush" may be an abbreviation for "the current President of the United States and son of George H.W. Bush." Definite descriptions are denoting phrases (see On Denoting) which are analyzed by Russell into existentially quantified logical constructions. Such phrases denote in the sense that there is an object that satisfies the description. However, such objects are not to be considered meaningful on their own, but have meaning only in the proposition expressed by the sentences of which they are a part. Hence, they are not directly referential in the same way as logically proper names, for Russell. On Frege's account, any referring expression has a sense as well as a referent. Such a "mediated reference" view has certain theoretical advantages over the Millian view. For example, co-referential names, such as "Samuel Clemens" and "Mark Twain" cause problems for a directly referential view because it is possible for someone to hear that "Mark Twain is Samuel Clemens" and be surprised—thus, their cognitive content seems different. Millian views also run into trouble in dealing with names without bearers. The sentence "Pegasus is the winged horse of Greek mythology" seems to be a perfectly meaningful, even true, sentence. But, according to Millianism, "Pegasus" has no meaning because it has no referent. Hence, following the principle of compositionality, the sentence itself is neither true nor false and has no meaning. Several other difficulties have also been noted in the literature. Despite the differences between the views of Frege and Russell, they are generally lumped together as descriptivists about proper names. Such descriptivism faces problems which were articulated in Saul Kripke's influential Naming and Necessity. First, Kripke put forth what has come to be known as "the modal argument" (or "argument from rigidity") against descriptivism. Consider the name ‘’Aristotle’’ and the descriptions “the greatest student of Plato’’, “the founder of logic” and “the teacher of Alexander.” Aristotle obviously satisfies all of the descriptions (and many of the others we commonly associate with him), but it is not a necessary truth that if Aristotle existed then Aristotle was any one, or all, of these descriptions. Aristotle may well have existed without doing any single one of the things for which he is known to posterity. He may have existed and not have become known to posterity at all or he may have died in infancy. Suppose that Aristotle is associated by Mary with the description “the last great philosopher of antiquity” and (the actual) Aristotle died in infancy. Then Mary’s description would seem to refer to Plato. But this is deeply counterintuitive. Hence, names are rigid designators, according to Kripke. That is, they refer to the same individual in every possible world in which that individual exists. In the same work, Kripke articulated several other arguments against "Frege-Russell" descriptivism. Some of the major issues at the intersection of philosophy of language and philosophy of mind are also dealt with in modern psycholinguistics. Some important questions are: how much of language is innate? Is language acquisition a special faculty in the mind? What's the connection between thought and language? There are three general perspectives on the issue of language learning. The first is the behaviorist perspective, which dictates that not only is the solid bulk of language learned, but it is learned via conditioning. The second is the hypothesis testing perspective, which understands the child's learning of syntactic rules and meanings to involve the postulation and testing of hypotheses, through the use of the general faculty of intelligence. The final candidate for explanation is the innatist perspective, which states that at least some of the syntactic settings are innate and hardwired, based on certain modules of the mind. There are varying notions of the structure of the brain when it comes to language, as well. Connectionist models emphasize the idea that a person's lexicon and their thoughts operate in a kind of distributed, associative network. Nativist models assert that there are specialized devices in the brain that are dedicated to language acquisition. Computation models emphasize the notion of a representational language of thought and the logic-like, computational processing that the mind performs over them. Emergentist models focus on the notion that natural faculties are a complex system that emerge out of simpler biological parts. Reductionist models attempt to explain higher level mental processes in terms of the basic low-level neurophysiological activity of the brain. An important problem which touches both philosophy of language and philosophy of mind is to what extent language influences thought and vice-versa. There have been a number of different perspectives on this issue, each offering a number of insights and suggestions. At the other extreme from these positions, in a certain sense, is the notion that thought (or, more broadly, mental content) has priority over language. This idea is most closely associated with Jerry Fodor and his language of thought hypothesis. According to this view, spoken and written language derive their intentionality and meaning from an internal language encoded in the mind. The main argument in favor of such a view is that the structure of thoughts and the structure of language seem to share a compositional, systematic character. Another argument is that it is difficult to explain how signs and symbols on paper can represent anything meaningful unless some sort of meaning is infused into them by the contents of the mind. One of the main arguments against is that such levels of language can lead to an infinite regress. In any case, many philosophers of mind and language, such as Ruth Millikan, Fred Dretske and Fodor, have recently turned their attention to explaining the meanings of mental contents and states directly. Another tradition of philosophers has attempted to show that language and thought are coextensive. Donald Davidson, in his essay "Thought and Talk," argued that the notion of belief could only arise as a product of public linguistic interaction. Daniel Dennett holds a similar interpretationist view of propositional attitudes. Some thinkers, like the ancient sophist Gorgias, have questioned whether or not language was capable of capturing thought at all. ...speech can never exactly represent perciptibles, since it is different from them, and perceptibles are apprehended each by the one kind of organ, speech by another. Hence, since the objects of sight cannot be presented to any other organ but sight, and the different sense-organs cannot give their information to one another, similarly speech cannot give any information about perceptibles. Therefore, if anything exists and is comprehended, it is incommunicable. Metasemantics is a term used to describe all those fields that attempt to explain how semantic facts arise. One fruitful source of research involves investigation into the social conditions that give rise to, or are associated with, meanings and languages. Etymology (the study of the origins of words) and stylistics (philosophical argumentation over what makes "good grammar," relative to a particular language) are two examples of metasemantic fields. One of the major fields of sociology, symbolic interactionism, is based on the insight that human social organization is based almost entirely on the use of meanings. In consequence, any explanation of a social structure (like an institution) would need to account for the shared meanings which create and sustain the structure. Rhetoric is the study of the particular words that people use in order to achieve the proper emotional and rational effect in the listener, be it to persuade, provoke, endear, or teach. Some relevant applications of the field include the examination of propaganda and didacticism, the examination of the purposes of swearing and pejoratives (especially how it influences the behavior of others, and defines relationships), the effects of gendered language, linguistic transparency, or speaking in an accessible manner, performative utterances and the various tasks that language can perform (called "speech acts"), applications to the study and interpretation of law, and to help give insight to the logical concept of the domain of discourse. Literary theory is a discipline that overlaps with the philosophy of language. It emphasizes the methods that readers and critics use in understanding a text. This field, being an outgrowth of the study of how to properly interpret messages, is closely tied to the ancient discipline of hermeneutics. In Continental Philosophy, language is not studied as a separate discipline, as it is in Analytic Philosophy. Rather, it is an inextricable part of many other areas of thought, such as Phenomenology, Semiotics, Hermeneutics, Heideggerean Ontology, Existentialism, Structuralism, Deconstruction, and Critical Theory. The idea of language is often related to that of logic in its Greek sense as "Logos," meaning discourse or dialectic. Language and concepts are also seen as having been formed by history and politics, or even by historical philosophy itself. The field of hermeneutics, and the theory of interpretation in general, has played a significant role in twentieth century continental philosophy of language and ontology beginning with Martin Heidegger. Heidegger combines phenomenology with the hermeneutics of Wilhelm Dilthey. Heidegger believed language was one of the most important concepts for Dasein: "Language is the house of being, which is propriated by being and pervaded by being". However, Heidegger believed that language today is worn out because of overuse of important words, and would be inadequate for in-depth study of Being (Sein). For example, Sein (being), the word itself, is saturated with multiple meanings. Thus, he invented new vocabulary and linguistic styles, based on Ancient Greek and Germanic etymological word relations, to disambiguate commonly used words. He avoid words like consciousness, ego, human, nature, etc. and instead talks holistically of Being-in-the-world, Dasein. With such new concepts as Being-in-the-world, Heidegger constructs his theory of language, centered around speech. He believed speech (talking, listening, silence) was the most essential and pure form of language. Heidegger claims writing is only a supplement to speech, because even a reader constructs or contributes one's own "talk" while reading. The most important feature of language is its 'projectivity', the idea that language is prior to human speech. This means that when one is "thrown" into the world, his existence is characterized from the beginning by a certain pre-comprehension of the world. However, it is only after naming, or "articulation of intelligibility," can one have primary access to Dasein and Being-in-the-World. Hans Georg Gadamer expanded on these ideas of Heidegger and proposed a complete hermeneutic ontology. In Truth and Method, Gadamer describes language as "the medium in which substantive understanding and agreement take place between two people." In addition, Gadamer claims that the world is linguistically constituted, and cannot exist apart from language. For example, monuments and statues cannot communicate without the aid of language. Gadamer also claims that every language constitutes a world-view, because the linguistic nature of the world frees each individual from an objective environment: "... the fact that we have a world at all depends upon [language] and presents itself in it. The world as world exists for man as for no other creature in the world." Paul Ricoeur, on the other hand, proposed a hermeneutics which, reconnecting with the original Greek sense of the term, emphasized the discovery of hidden meanings in the equivocal terms (or "symbols") of ordinary language. Other philosophers who have worked in this tradition include Luigi Pareyson and Jacques Derrida. The issue here can be explicated if we examine the proposition "Socrates is a Man." From the radical realist's perspective, the connection between S and M is a connection between two abstract entities. There is an entity, "man," and an entity, "Socrates." These two things connect together in some way or overlap one another. From a nominalist's perspective, the connection between S and M is the connection between a particular entity (Socrates) and a vast collection of particular things (men). To say that Socrates is a man is to say that Socrates is a part of the class of "men." Another perspective is to consider "man" to be a property of the entity, "Socrates." If "Socrates" is applied to the finite universe method then "men" is a property of Socrates (not a class). Many philosophical discussions of language begin by clarifying terminology. One item which has undergone significant scrutiny is the idea of language itself. Those philosophers who have set themselves to the task ask two important questions: "What is language in general?," and "What is a particular, individual language?." Some semiotic outlooks have stressed that language is the mere manipulation and use of symbols in order to draw attention to signified content. If this were so, then humans would not be the sole possessors of language skills. On the other hand, many works by linguist Noam Chomsky have emphasized the role of syntax as a characteristic of any language. On the other side of the divide, and especially prominent in the 1950s and 1960s, were the so-called "Ordinary language philosophers." Philosophers such as P.F. Strawson, John Austin and Gilbert Ryle stressed the importance of studying natural language without regard to the truth-conditions of sentences and the references of terms. They did not believe that the social and practical dimensions of linguistic meaning could be captured by any attempts at formalization using the tools of logic. Logic is one thing and language is something entirely different. What is important is not expressions themselves but what people use them to do in communication. Hence, Austin developed a theory of speech acts , which described the kinds of things which can be done with a sentence (assertion, command, inquiry, exclamation) in different contexts of use on different occasions. Strawson argued that the truth-table semantics of the logical connectives (e.g., , and ) do not capture the meanings of their natural language counterparts ("and," "or" and "if-then"). While the "ordinary language" movement basically died out in the 1970s, its influence was crucial to the development of the fields of speech-act theory and the study of pragmatics. Many of its ideas have been absorbed by theorists such as Kent Bach, Robert Brandom, Paul Horwich and Stephen Neale. Translation and interpretation are two other problems that philosophers of language have attempted to confront. In the 1950s, W.V. Quine argued for the indeterminacy of meaning and reference based on the principle of radical translation. In Word and Object, Quine asks the reader to imagine a situation in which he is confronted with a previously undocumented, primitive tribe and must attempt to make sense of the utterances and gestures that its members make. This is the situation of radical translation. He claimed that, in such a situation, it is impossible in principle to be absolutely certain of the meaning or reference that a speaker of the primitive tribe's language attaches to an utterance. For example, if a speaker sees a rabbit and says "gavagai," is she referring to the whole rabbit, to the rabbit's tail, or to a temporal part of the rabbit. All that can be done is to examine the utterance as a part of the overall linguistic behavior of the individual, and then use these observations to interpret the meaning of all other utterances. From this basis, one can form a manual of translation. But, since reference is indeterminate, there will be many such manuals, no one of which is more correct than the others. For Quine, as for Wittgenstein and Austin, meaning is not something that is associated with a single word or sentence, but is rather something that, if it can be attributed at all, can only be attributed to a whole language. The resulting view is called semantic holism. Quine's disciple, Donald Davidson, extended the idea of radical translation to the interpretation of utterances and behavior within a single linguistic community. He dubbed this notion radical interpretation. He suggested that the meaning that any individual ascribed to a sentence could only be determined by attributing meanings to many, perhaps all, of the individual's assertions as well as his mental states and attitudes. ↑ King, Peter. Peter Abelard. Stanford Encyclopedia of Philosophy. Retrieved February 13, 2009. ↑ 9.0 9.1 Alfred Tarski, 1944, online PDF The Semantical Conception of Truth. Retrieved February 11, 2009. ↑ 10.0 10.1 Robert J. Stainton, 1996, Philosophical perspectives on language. Peterborough, Ont. : Broadview Press. ↑ Ned Block, "Conceptual Role Semantics." The Routledge Encylopedia of Philosophy. Forthcoming. Retrieved February 11, 2009. ↑ L. Wittgenstein, 1958, Philosophical Investigations. Third edition. trans. G.E.M. Anscombe. New York: MacMillan Publishing Co.
↑ Tyler Burge, 1979, “Individualism and the Mental.” Midwest Studies in Philosophy 4: 73-121. ↑ Paul Grice, 2000, "Meaning." Perspectives in the Philosophy of Language. ed. Robert Stainton. ↑ Jason Stanley, 2006, Philosophy of Language in the Twentieth Century. Forthcoming in the Routledge Guide to Twentieth Century Philosophy. Retrieved February 13, 2009. ↑ B. Russell, 1905, On Denoting. Published in "Mind." online text, Stephen Neale, 1990, Descriptions, Cambridge, Mass. : MIT Press. Retrieved February 13, 2009. ↑ Jerrold Katz, 2005, Names Without Bearers. Retrieved February 11, 2009. ↑ Jerry A. Fodor (1983). The Modularity of Mind:An Essay in Faculty Psychology. The MIT Press. ISBN 0262560259. ↑ P. Churchland, 1995, Engine of Reason, Seat of the Soul: A Philosophical Journey Into the Brain. (Cambridge, MA: The MIT Press). ↑ J. Fodor and E. Lepore, 1999, "All at Sea in Semantic Space: Churchland on Meaning Similarity." Journal of Philosophy 96: 381-403. ↑ P. Kay and W. Kempton, 1984, "What is the Spair-Whorf Hypothesis?" American Anthropologist 86(1): 65-79. ↑ Giorgias (c. 375 B.C.E.) trans. Kathleen Freeman. In Kaufmann, W. Philosophic Classics: Thales to Ockham. New Jersey:Prentice Hall, Inc. 1961, 1968. ↑ Roy Sorensen, 2006, "Vagueness." Stanford Encyclopedia of Philosophy. Retrieved February 11, 2009. ↑ M. De Wulf, 1911, "Nominalism, Realism, Conceptualism." Catholic Encyclopedia. Retrieved February 13, 2009. ↑ Noam Chomsky, 2000, "Knowledge of Language: Its Nature, Origin, and Use." Perspectives in the Philosophy of Language. ed. Robert Stainton. ↑ B. Partee, Richard Montague (1930 - 1971). In Encyclopedia of Language and Linguistics, 2nd Ed., ed. Keith Brown. Oxford: Elsevier. V. 8, 255-257, 2006. Retrieved February 13, 2009. ↑ Austin, J.L. (1962). in ed. J.O. Urmson. : How to Do Things With Words: The William James Lectures delivered at Harvard University in 1955. Oxford: Clarendon Press. ISBN 0674411528. ↑ Paul Grice, "Logic and Conversation." Perspectives in the Philosophy of Language. (2000) ed. Robert Stainton. Philosophy of Language. Retrieved February 13, 2009. Carnap, Rudolf. Meaning and Necessity: a Study in Semantics and Modal Logic, Chicago: University of Chicago Press, 1956. Retrieved August 23, 2007. Collins, John. Truth Conditions Without Interpretation, SORITES, ISSN 1135-1349, Issue #13, October 2001. 52-71. Retrieved February 13, 2009. Greenberg, Mark and Gilbert Harman. Conceptual Role Semantics, 2005. Retrieved February 13, 2009. Hale, B. and Crispin Wright, (eds.). Blackwell Companions To Philosophy. Malden, Massachusetts: Blackwell Publishers, 1999. Tarski, Alfred. "The Semantical Conception of Truth", Philosophy and Phenomenological Research 4, 1944. Retrieved February 13, 2009. Philosophy of Language---Internet Encylopedia of Philosophy. History of "Philosophy of language"
This page was last modified on 25 March 2019, at 19:45.